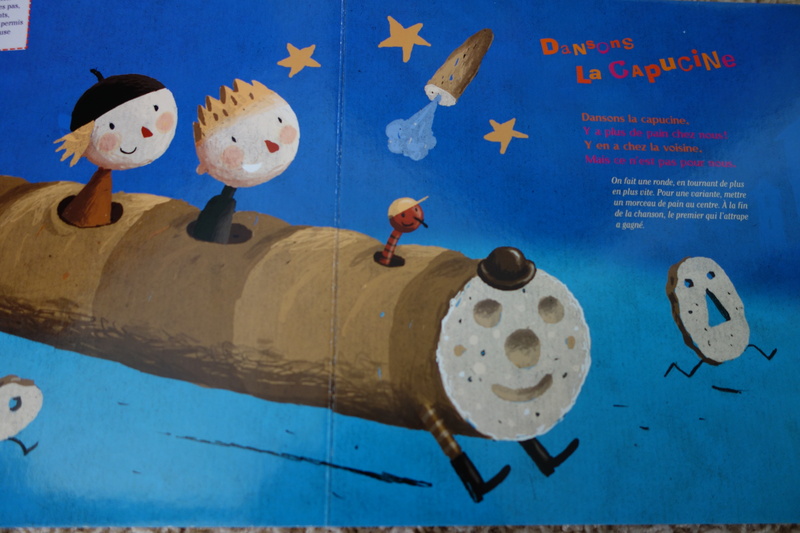 This entry was posted in Bilingual, Bilingual Children, Family, France, French, French Language and tagged Bilingual, Colorado, Family, French, French Language, Learning French, Multilingual, Multilingual Blogging Carnival, Parenting by A French American Life. Bookmark the permalink. ‘Bonne chance’ for your language journey! It sounds like a fun and creative adventure, both for you and the kids. 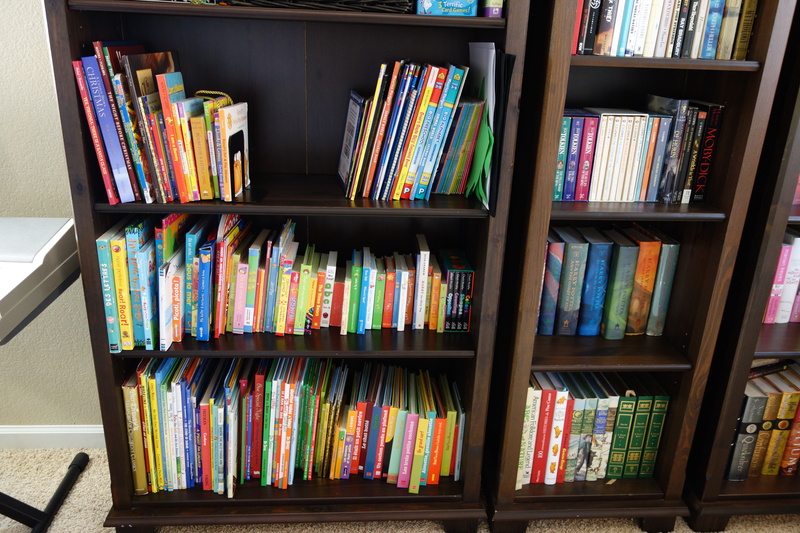 As I teach French myself and would love to teach our son some when he’s a bit older, I might well end up using some of the same sorts of books that you mention. My wife and I are in a kind of similar situation with bringing up our six month old son bilingually (Welsh and English). Even though I’m not Welsh and did start learning the language until about six years ago, I speak to our son uniquely in Welsh. My wife is currently going to Welsh classes and can use quite a few basic phrases with him and also sing a few Welsh nursery rhymes. At the moment, what we’re doing is fairly close to the ‘one person one language’ approach but we may move towards a situation where we both use Welsh with our son. Good for you guys for taking on the bilingual journey. And big kudos to you both for learning a language as adults, and passing that on to your kids. I didn’t start learning French until my late 20s, so I know how challenging it can be. How do you like teaching French? What age group do you teach? 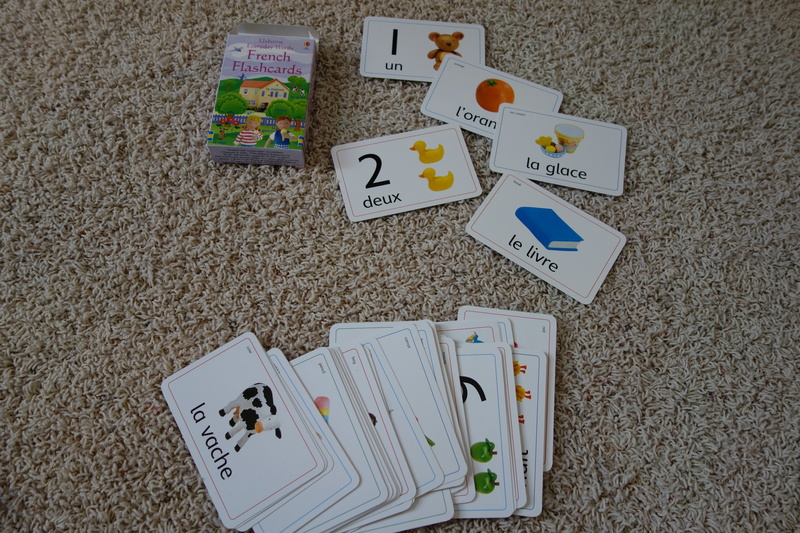 I teach French at university, so it’s going to be a whole new ball game trying to teach the language to my son! That said, I did teach English to primary school kids in France for a year so maybe that’ll help! It’s always great to hear about how fellow bloggers deal with this sort of challenge. I’ve seen some college students who act like toddlers…. No, really, teaching it as a conscious effort at understanding grammar etc vs. teaching it organically to a child are two very different challenges! Have you thought about finding a French teacher who specialises in teaching kids? I teach English to kids in France, though many of the parents speak English themselves, they prefer their kids learn with a mother tongue speaker. It doesn’t have to be a teacher, maybe there are some French students at the University looking for work. An hour or two a week of games and conversation should do the trick! I got the card to a local tutor, and I’m giving serious consideration to calling her. She also does small group classes, which might be even better. I plan to talk to her soon! You are right, I think you should not give up! I think it’s a great idea to try to connect with the French speaking community. Is there an “Alliance française” in your city? They may be able to help you contact French-speaking families. You could also start a group of parents of French-English bilingual children on meetup.com? (or check if one already exists) I guess it’s difficult to introduce your children and yourself to families/mothers you don’t know at all. But most of them are also probably trying to meet other bilingual families and they will be glad (and grateful) you made the first step! Another suggestion: you could ask your children’s teachers if they know French-speaking parents at your children’s school? My last advice would be this one: don’t put too much pressure on yourself and try to enjoy reading/speaking and interacting in French with your children as much as you can. Bon courage, you are on the right track! When I was in NYC, I was teaching French to children (Pre-K to 6 grade) with bilingual parents, or expats, and even American parents who wanted their children to learn French. It was part of an after-school program, run by a private non-profit, managed mostly by volunteer parents. Maybe American parents could be interested for their children, too. Of course, the French community is huge in New York. But it was funny to see how French children (even with both parents speaking French at home) would speak English between them because that is what they speak at school. C’est la langue des copains, aussi ! I wish you bon courage in your quest! Yes – the French community is much, much smaller here. But I remain hopeful that we will find our way to it! 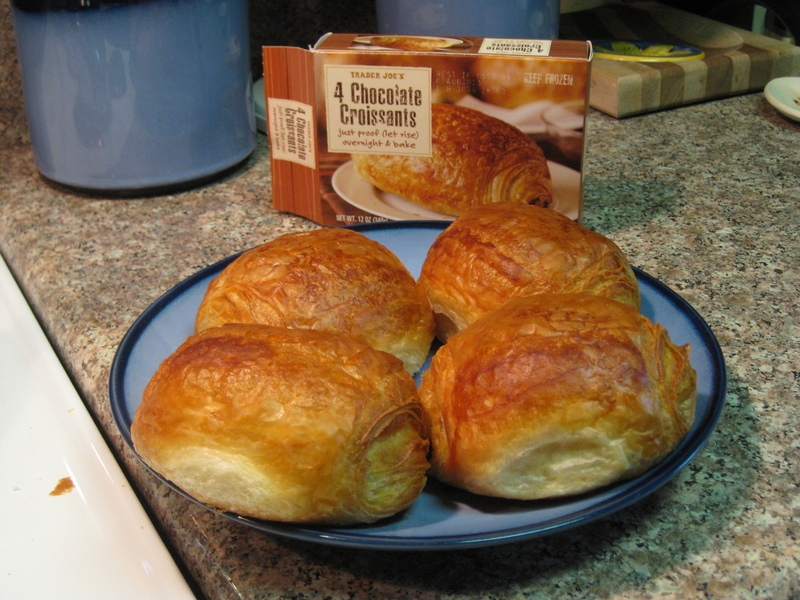 Yes, chocolate croissants en Anglais 🙂 Trader Joe’s does a pretty decent job with these ones, even my husband agrees! The one rule we followed bringing our kids up bilingual was the golden one: only speak your mother tongue to the children. So my husband spoke his native French (along with all the rest of the world in France…) and I spoke English. Even with a good level of French, I found it is not natural to speak to children in an adopted tongue. My daughter resisted English for years, consistently replying to me only in French. But we persisted, and when she got into an international school and discovered all the cool culture around the English-speaking world, she quickly became fluent. Now she studies at Glasgow University with other native English speakers. And TV was a HUGE source of inspiration and vocabulary. I highly recommend exposing your kids to good quality programming (if you can get it with the subtitles, it’s even better as it reinforces the learning experience.) Bon courage! Merci! It’s always good to hear success stories from people with grown children – thank you! We mostly do what you did at this point, although in reverse. 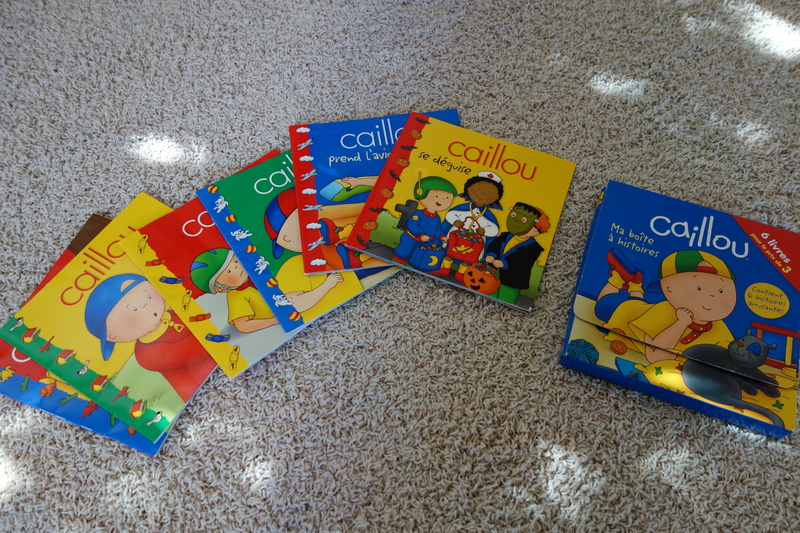 Since I speak the majority language, my kids get a ton of English and very little French, unfortunately. You Tube has been a great source of French programs, and as the kids get older, we will use it more I think. As of now, my daughter thinks Mickey Mouse only speaks French…. Maybe you need to take a quick visit back to San Diego just for TJs? Just kidding. Trader Joe’s should be opening a store in Boulder on Valentine’s Day. Chocolate croissants, here I come!